Frank Holmes, Chief Investment Officer for U.S. Global Investors, in his keynote panel presentation at the Cape Town Mining Indaba, reckons that China has already passed the $100 billion outward investment mark. One of the key areas for this is to tie down future supplies of vital natural resources and Africa is a vital area for much of the Asian dragon’s resource investment. 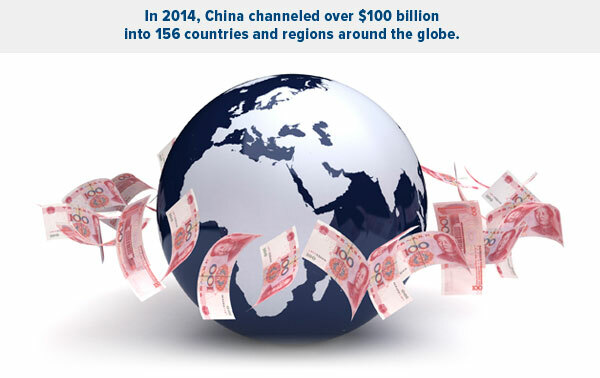 Be that as it may, it’s now estimated that within the next decade, China will have invested a staggering $1.25 trillion into the global market. It was once said that the sun never sets on the British Empire. Now the same might be said of China’s growing influence around the world. “As China’s domestic infrastructure expansion matures and the yuan’s purchasing power rises, Chinese companies are seeking overseas opportunities so they’re not pigeonholed in any one marketplace,” says Xian Liang, portfolio manager of our China Region Fund (USCOX). When you consider world economies using purchasing-power parity, China’s actually surpassed America’s in the second half last year. One of the most headline-worthy developments is China’s $16.3-billion infrastructure initiative intended to revive trading routes along the centuries-old Silk Road. Thousands of miles of railways, roads and pipelines will link Beijing to major markets all over Asia, Africa and Europe. Many are already likening the new Silk Road undertaking to the Marshall Plan, the large-scale U.S. program that aided Europe following World War II and helped secure America’s role as the world’s leading superpower. We all know that China is a big place with lots of people. As such, it requires unfathomable amounts of resources, for which it’s spending historic amounts of money. Between 2005 and June 2013, China spent $202 billion globally on energy and power, $100 billion on metals and $18 billion on agriculture. Much of this capital is being channeled into Africa, home to about 60 percent of the world’s uncultivated arable land. If irrigated and optimized properly, Africa’s land has the potential to supply the same percentage of the world’s food needs. The continent is also home to 30 percent of the world’s minerals, with a large percentage of the deposits being platinum, diamonds and gold. Since 2005, China’s spending in Africa has jumped 30 percent, and in 2009 it became the continent’s largest trading partner, surpassing the U.S. Every year it exchanges around $160 billion in goods with Africa, but with China’s middle class growing in number and demanding a higher quality of living, we expect that figure to surge. Its largest trading partner among all African countries is South Africa, where I’m attending the 2015 Investing in African Mining Indaba and participating in a keynote panel on mining opportunities on the continent. Twenty years ago, we were the initial speakers at the creation of this event when there were only around 100 attendees. 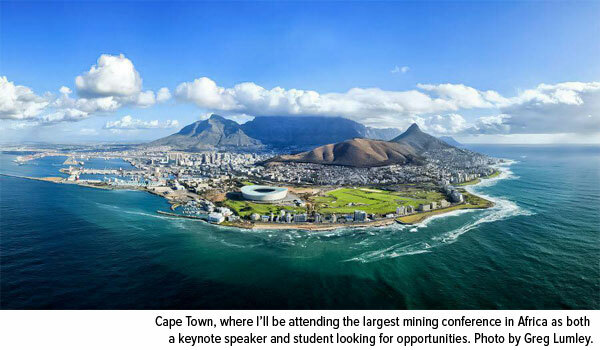 Last year, there were over 6,000, making it the biggest mining conference in Africa. Some economists are suggesting that Africa is shaping up to be “China’s Second Continent,” the title of New York Times journalist Howard W. French’s 2014 book. Just as the Roman Empire reshaped and brought together disparate European cultures through its sophisticated network of roads, China’s presence in Africa promises to have a long-lasting effect on the continent’s financial wellbeing. Roads, mines, hospitals, schools and other important infrastructure are being financed and built at a rapid pace. Last November, for example, China Rail Construction Corp. signed a $12-billion high-speed rail construction deal with Nigeria. The article continues: “When China invests in one country, it quickly becomes the biggest creditor, sometimes to the extent of altering the economic and diplomatic scenario.” Many developing countries now owe China many times more what they receive from the International Monetary Fund. Last week, for instance, we learned that Chinese President Xi Jinping promised $250 billion in investment in Latin American countries over the next decade. China will be buying copper from Chile and Peru, oil from Venezuela and soybeans from Brazil and Argentina. Xi and Argentine President Cristina Fernandez de Kirchner also agreed on a deal that would see China cooperate with the Latin American country on two nuclear power plants. It’s not just developing countries China has invested in. Since 2007, the U.S. has received around $72 billion. Among the American brands that Chinese companies have purchased are AMC Entertainment, Inc., IBM’s personal computer division and meat giant Smithfield Foods. 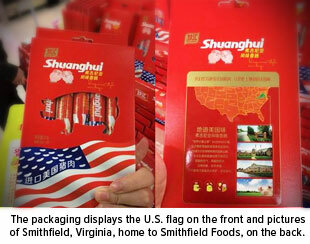 WH Group, which owns the Shuanghui brand, acquired Smithfield in 2013 and is now introducing imported U.S. pork to the local Chinese market. “Because of various food-related scandals in the last five to seven years, the average Chinese citizen tends to trust foreign food brands more than domestic brands,” Xian says. This is just one of many examples of the Chinese preferring American brands to others. Buick, the best-selling automobile manufacturer in the Asian country, sold 1 million vehicles in 2013—810,000 of those in China. Although Gallup says that “there has been no definitive answer as to why the rate of U.S. startups has declined so precipitously,” it seems likely that ever-expanding and restrictive government regulations play a huge role. Back in October, I pointed out that China has slashed hundreds of lines of red tape in an effort to jumpstart economic growth and encourage business startups. Even though its real GDP growth is slowing, the country has become much more efficient at fostering business activity.